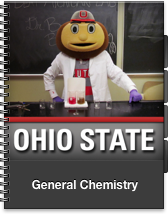 OSU's General Chemistry course with “Dr. Fus” enrolled over 100,000 iTunes U students in the first year it was offered! Why not use Khan Academy? What recording technology is used? Who does the video editing and iTunes U management? Is the course linked to a textbook? Was the MOOC concept accepted by faculty? What's the ROI for using iTunes U? Are there incentives for faculty to produce these MOOCs? How much effort was put toward marketing? Flipping the classroom: what activities are done in class?